Another big update of CREAM behind us. This innovative lifting system efficiency of business processes are developing all the time, and monthly updates are his important element. Changes in version 1.4. are aimed at even friendlier use. What is most important, namely the huge analytical capabilities focused on full knowledge of the client charged with a variety of operating systems in the company operates CREAM from the outset. The most significant changes reaching with version 1.4. increases the friendliness and ergonomics of use. Transfer the menu on the left side to the top of the screen and its disappearance when scrolling down significantly increases the screen canvas. This improves comfort. Action bar is "stuck" on a permanent basis to the top of the screen. This allows for even greater ergonomics and comfort CREAM. 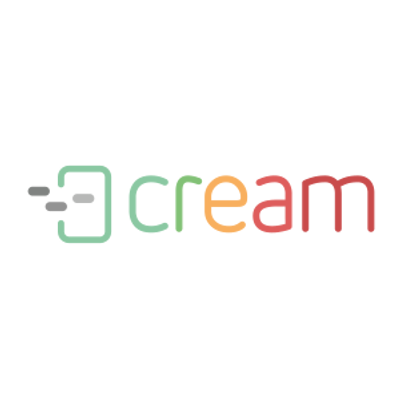 CREAM 1.4. a total of several dozen smaller and larger fixes and enhancements. We find among them a system of individual stores the user settings, reducing the editing area of the screen, giving up large icons or improved for utility login page. The new release also changes to help managers and project management teams work, and above all increase the amount of information available to them and showcase them in real time. Increasing the workspace and use the full width of the window system provides placement "menu" at the top of the page. Improved user to focus on a specific task, by hiding the "menu" when scrolling the page. Ability to perform an action, even when scrolling the page, gives the action bar now always placed at the top. A better way to display data on the page, thanks to divide it into sections with the possibility of winding and unwinding. Save space on the screen through the view of all sections only if they contain data. No need to rewind sections for each entry in sight - the system remembers which sections are rolled up. Improving the transparency side by giving up large icons on pages where there is no possibility of their editing to graphics or photos. More valuable data by enriching the parties for information, who created and / or updated item. Improve readability by changing the area occupied by the editing form - now occupy 2/3 of the available space. More working space on mobile devices and screens smaller than 1280px wide. Improve the appearance of the recording of legal claims (disclaimer) and a login form. More convenient to specify the time of the field calendar by giving up the sliders and change them more convenient list. information for the user in the event of exceptions in the system. Information system version at hand - in the footer on all pages.